Unfunded and underfunded. Instead of a tool to attract and retain talent - it's a liability. Often unaccrued and unconsidered. Why are end-of-service benefits important? Management information is inaccurate. Each month a liability accrues and grows. If this money isn’t segregated from the balance sheet then P&L reports are inaccurate. Accounting and audit information is inaccurate (IFRS non-compliant). This means reports to shareholders, stakeholders, regulators and investors are wrong. A ‘gratuity cliff’ rapidly grows. In the event of a downturn – when there is least profit – redundancies may be made and liability is highest. This accelerates a downward spiral. The idea of a company controller driving the employees’ pension past them in the form of a red Ferrari is actually possible. Employees have little visibility or understanding of EoSB as an employee benefit. The opportunity to use EoSB as a tool to attract AND retain top talent is missed. What is the biggest problem regarding end-of-service benefits? Liabilities for end-of-service benefits have grown in the last few years – and these are largely unfunded. In most small and medium-sized enterprises (SMEs), there is a tendency for CFOs to neglect the provision for end-of-service benefits. Usually, a basic calculation on a spreadsheet is made to identify the approximate size of the liability – and that’s it. Change remains slow due to many factors including lack of pressure from financial/corporate regulators and numerous other priorities that CFOs are concerned with. Change is not going to happen without a change in attitude. Human resource and finance departments often do what they need to ‘tick boxes’, ensuring that legal requirements are met and basic procedures followed. No additional investment is made for their staff. No sustainable plan in place for paying gratuities – instead, payments are made from current profits or reserves. Companies, and individual employees, need to understand what end-of-service benefits mean to them. It may be helpful to think of it as a pension (whether it is or isn’t). Everyone may be treating it as a more valuable entity then. Should companies communicate the end-of-service benefits to their employees? Absolutely. HR departments should be proactive in ensuring there are brochures or other literature to explain the end-of-service benefits and what they are for. Companies could even go one step further and direct employees to a financial adviser for guidance on how to invest the lump sum gratuity. What employees often don’t understand is that the longer they remain in the company, the larger the gratuity will be at the end of the day. This is a major reason for them to remain working at a single company – and, ultimately, a great retention tool for HR departments. What are the financial implications of setting aside end-of-service benefit funding? Not much. Introducing end-of-service benefit funding will probably not have serious financial implications. What usually happens is that some cash flow that was previously in the main business will be diverted to separate accounts. It would not be considered an additional expense. Consider the alternative: paying end-of-service benefits from current reserves and profits. What if there are no profits? What if the company is facing a tough year and has to retrench part of its staff? A company with financial problems will face even greater losses with the mass payouts of end-of-service benefits for the terminated staff. How is end-of-service gratuity calculated? Depending on your type of contract (limited or unlimited), there are different periods and clauses to be aware of. On a limited contract, if you resign before the end of the period, an employee could face a labour ban, loss of labour rights or even payment of compensation to the employer. Unlimited contracts have no end dates – however a notice period of one to three months is applicable for termination by either employee or employer. You can calculate the end-of-service benefit gratuity on the Ministry of Human Resources and Emiratisation website. Does the law specify how end-of-service should be funded? No, it does not. It also does not stipulate whether it should be funded at all which can result in considerable liabilities building up on a company’s balance sheet. By not having some sort of funding in place, this greatly goes against best corporate practice from both perspectives of financial prudence and modern employment standards. What are the more common ways to fund end-of-service gratuity? The most usual, global options are either a regulated insurance company-operated Pension plan or an independent Employee Benefit Trust (EBT). The former tends to be an all-in-one solution with a single organisation that is usually an insurance company. The company then handles all the fiduciary, investment management and administrative roles. 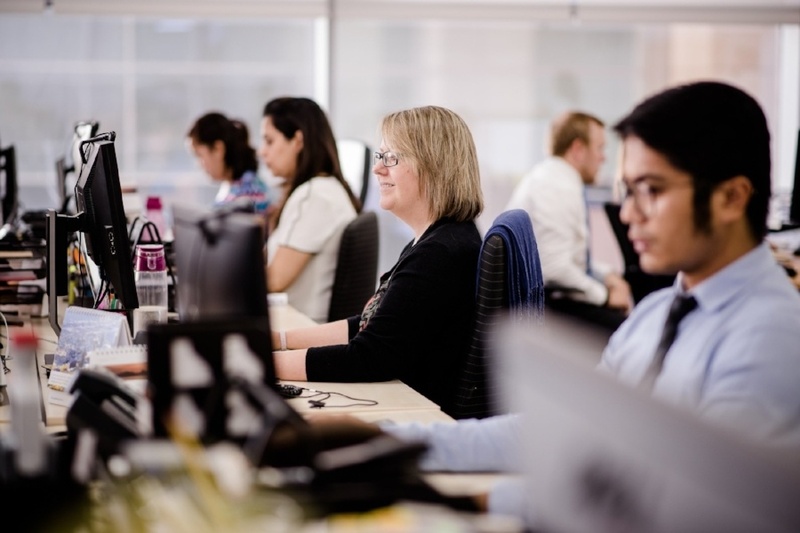 With an EBT, each of these services are carried out within the trust on an independently contracted basis by a specialist in each field – a trustee to hold the assets, a fund manager to oversee the investment decisions and an administrator to keep the records. Should my company consider off-the-shelf pension or savings plans? The answer is not that cut and dry. You’ll have to evaluate convenience against cost. These plans can offer a range of investment options that provide real growth potential as well as longer terms that aim at actual retirement dates rather than end-of-service dates. However, these plans are expensive to maintain with large initial commission payments to company representatives and costly maintenance, running and investment management charges. Their complex charging structures often adversely affect any positive growth. In the case of an EBT, who looks after the money? 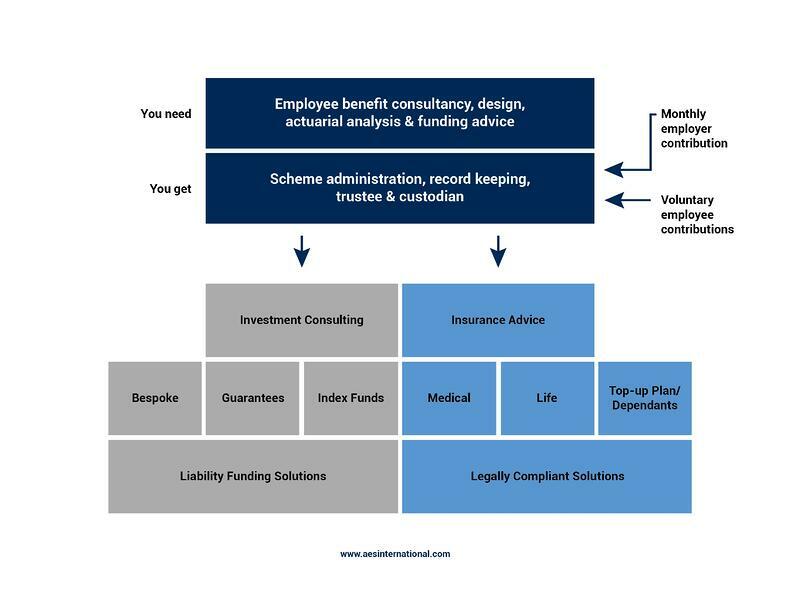 The Employee Benefit Trust, or Scheme, is operated jointly by independent trustees and administrators who have a responsibility to both employer and employee. The law imposes strict obligations on trustees who are required to obey the directions in the Trust Deed regarding the interests of both employee and employer. Trustees are subject to strict rules governing the way in which their powers and discretion may be exercised.